Analog Circuit Design contains the contribution of 18 tutorials of the 14th workshop on Advances in Analog Circuit Design. Each part discusses a specific todate topic on new and valuable design ideas in the area of analog circuit design. Each part is presented by six experts in that field and state of the art information is shared and overviewed. 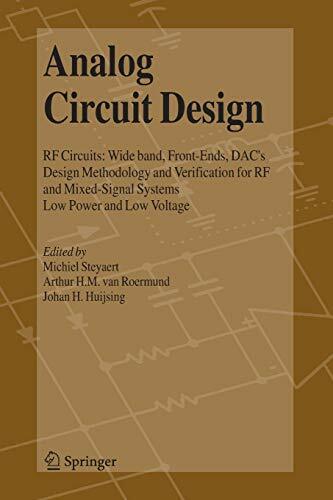 This book is number 14 in this successful series of Analog Circuit Design, providing valuable information and excellent overviews of analog circuit design, CAD and RF systems. Analog Circuit Design is an essential reference source for analog circuit designers and researchers wishing to keep abreast with the latest development in the field. The tutorial coverage also makes it suitable for use in an advanced design course.